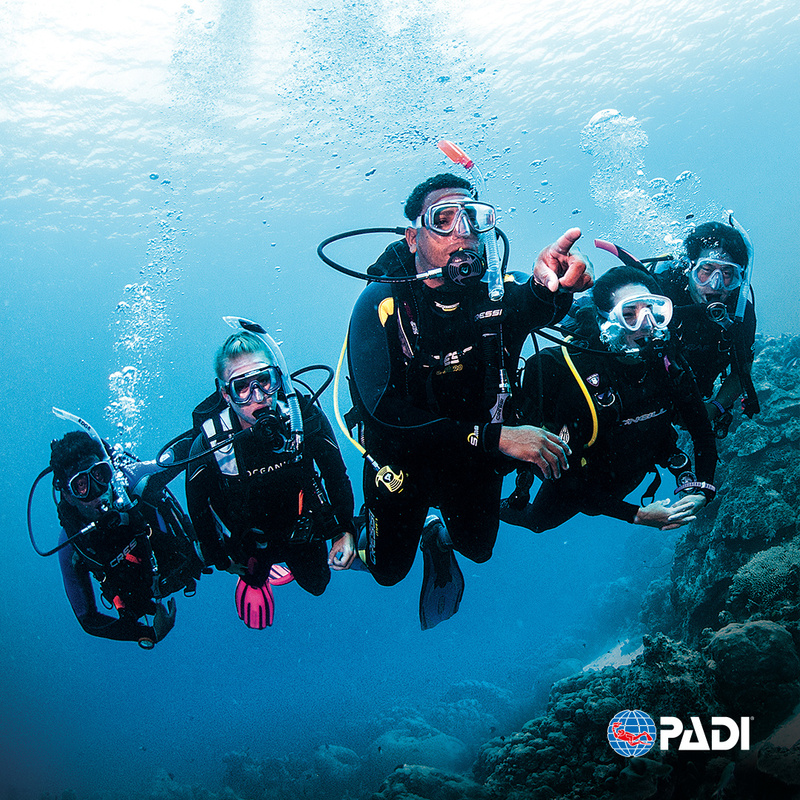 Controlling and maintaining a neutral buoyancy is an essential skill in scuba diving, one divers learn to perfect throughout their lives. Although this skill requires practice and understanding for us, for fish it is natural and instinctive due to their adapted bodies. Interestingly enough, the form and function of fish has shaped modern scuba diving techniques, enabling divers to swim as freely and smoothly as a fish in water! In this blog, we will study the different components of fish bodies that make them perfectly adapted to their environment. Buoyancy is the force exerted on an object partly or wholly submerged in water. This force can increase or decrease depending on the water pressure surrounding the object. This is why you sink faster the deeper you go, and rise with increasing speed as you ascend. In diving, we can neutralize the effects of buoyancy by adding or purging air from our BCDs, but did you know that this mechanism is inspired from a very distinctive organ in fish? The swim bladder functions in the same way as our BCDs. It resembles a big air bubble situated right below the vertebral column. This organ can be inflated or deflated with gas to adjust a fish's buoyancy. When the fish descends, air in the swim bladder compresses and the organ decreases in size, forcing the fish to secrete gas in the bladder. This is analogous to a diver adding air to his shrinking BCD as he descends to the seafloor. Similarly, as the fish ascends, the air expands in the swim bladder, forcing the fish to release the extra air, just like a diver would purge their BCD to regulate the rate of the ascend. In fish, there exists two types of swim bladders: the physostomes and the physoclists. The physostomes are seen in more primitive fish, like goldfish, arapaimas or eels, their swim bladders are directly connected to their guts. To inflate the bladder, the fish rises to the surface to gulp down air, and burps to deflate it. The physoclists are fish with more derived characters, they regulate their highly capillarized swim bladders by diffusion from the blood. Indeed, the rete mirabile, or the network of capillaries around the swim bladder, provides efficient diffusion of gas from the blood to the bladder. This is specific to some bony fishes, because some fish have lungs that can be used as swim bladders! Therefore, our BCD mechanism functions just like the swim bladders of fish, isn't that cool? Heat diffuses in water much faster than in air. The heat capacity of water is not even comparable to air, meaning that, unless you are prepared and adapted to rapid heat loss in water, you will get cold very quickly, and possibly get hypothermia. Hence wetsuits and drysuits. But how do fish and marine mammals retain heat in aquatic environments? For marine mammals, thick water-resistant fur called pelage and a layer of fat, more precisely adipose tissue, under the skin called blubber keep the animals isolated and protected against the cold. Most fish are ectotherms, meaning that they rely on exterior sources of heat to raise their body temperatures, although as cold blooded animals, they can allow this temperature to drop without consequence. Their blood flow uses countercurrent exchange, which aims at keeping cold blood near the outer parts of the body and warm blood in the inner parts of the body. Of course, we do not have all these adaptations to survive in water, which is why wetsuits and drysuits are essential to enjoy a dive. Wetsuits create a thin layer of water trapped between the skin and the fabric, which keeps the diver warm for a much longer than no protection would allow. Drysuits allow the diver to wear multiple layers of insulation, as well as a barrier of air, which as we have discussed retains heat much better than water. Diving into the underwater world is a wondrous experience, the world seems to fade away leaving only colors and a feeling of lightness unique to scuba diving. 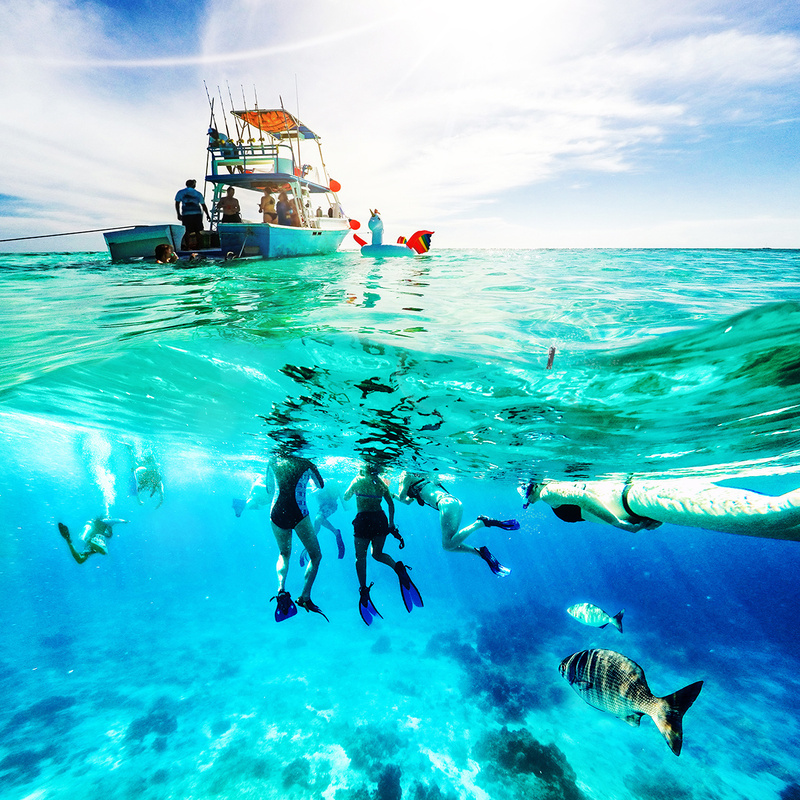 This feeling in part comes from how different the aquatic environment is to our usual terrestrial environment. Our senses are significantly altered as we immerse ourselves in a world with a completely different reality. First of all, vision is highly affected by the absorbing properties of water. Light enters the water and is quickly dispersed by water molecules, meaning that visibility is greatly reduced underwater compared to air. For divers, this contributes to the otherworldly feel of diving, for fish and marine mammals, it is a disadvantage. To supplement this sensory loss, fish have a lateral line, a sensory organ that can detect changes in water pressure and movement. This is why schools of fish are so well synchronized, if one fish changes direction, its movement can be sensed by all the fish around, which enables them to duplicate the movement instantly. Taste and smell in water are detected using chemical signals detected by the nostrils and taste buds of the animals. The barbs of catfish for example, are covered with chemoreceptors used to scan the bottom and detect hidden prey. 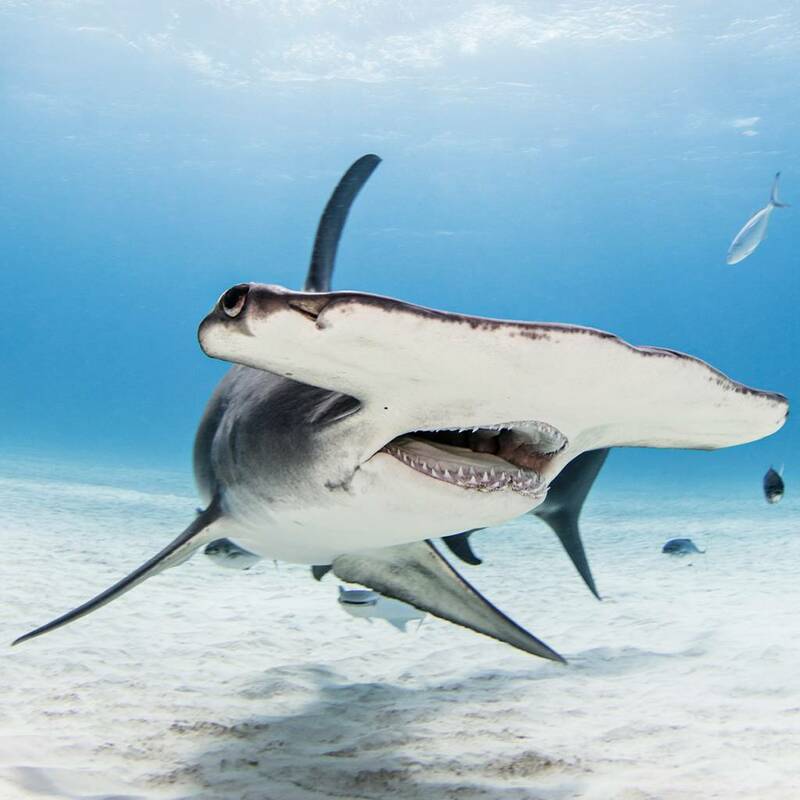 Sharks also have extremely developed electroreceptors known as “ampullae of lorenzini” used to detect changes in electrical fields around the animal, these changes are the results of a muscle contraction. These receptors are used to detect and hunt prey. Divers, of course, don't have all these adaptations, but the lack of senses accentuates the incredible experience of a dive, distinguishing it from any other activity. Aquatic animals such as fish and marine mammals are perfectly adapted to their environments, from distinguishing organs like the swim bladder and the lateral line, to blood flow specificities and special heat regulation mechanisms. These characteristics have inspired modern scuba diving techniques and equipments such as the BCDs and wetsuits, enabling the diver to feel perfectly at home underwater, like a fish in water!